Back in the mid-1800’s the first slot games where invented, but at that time the jackpot would be a pack of sweets or a drink. Nowadays playing slots is a lot more exciting, a single spin can now easily earn you thousands! And since more and more people started playing slots, online casinos had decided to launch them online. In the recent years the portfolio of online slots has sky-rocketed, and now there are more than 3.000 different online slots to play. Some are based on games you might now from land based casinos, and some are totally new. But what online slots should you play? To help you find out I have wrote this article with more information about the most popular video slots, and why they became popular. Check our current top 15 most popular video slots and learn how to play them. For more information about any of the games, please click the title of the slot! In the table below you will find game information and details about the 15 slots that appear in our top 15 online slots. For more details about how to win and the gameplay, please click the name of the slot. Ready to try out any of the popular online slot games? Then make sure you join one of the safe and secure online casinos from this list! One of the most iconic video slots around is Starburst. Starburst is a slot game created by NetEnt back in 2012. This slot game offers bright colors, a cool arcade look and exciting animations. While spinning you can hit prizes on a total of 5 reels and 10 paylines. The only feature during this game is the Starburst Wild feature. During this feature a Wild will land somewhere on the reels and create a stacked Wild. Once happened, the slot will pay and respin. Every time a new Wild appear the slot will respin again. Landing two or three Starburst Wild means a high possibility of hitting a big win. This sparkling NetEnt slot is set up with a 96,10% RTP, which is not bad. Sign up your free account at LeoVegas today and receive up to 50 Free Spins on Starburst, no deposit required! Why did Starburst become so popular? Starburst is one of the most easiest game to learn. Even for beginning slot players it is fairly easy to understand how this game works. Because of this a lot of online casinos give away free spins on this slot. And that’s why it became incredibly popular. Nowadays you will find Starburst in all respected online casinos around the globe! The most popular video slot by Play’n Go is Riche Wilde and the Book of Dead. This top quality online slots offers great animations and a cool Egyptian theme. During the game you can win prizes on 5 reels and up to 10 paylines. When you hit three or more Red books (Scatters) you will unlock 10 Free Spins. During the free spins bonus you will be able to win more using one expanding symbol. One great thing about this bonus is that you will also be able to retrigger it. The Book of Dead offers you a 96,21% RTP and a maximum prize of 250.000 coins. Become a heroic explorer at try your luck on this very popular video slot today! Sign up your free account at Playgrand Casino today and receive 50 Free Spins on the Book of Dead. No deposit required! Why did Book of Dead become so popular? The most important reason for the popularity of the Book of Dead video slot is the bonus feature that you can unlock. Many people love the free spins feature with one expanding symbol. We think this is the case because it is simple, and it can pay really good! Although this online slot isn’t available that long, it really deserves it’s spot in the top 10 most popular video slots. Jammin’ Jars is a fruity themed video slot created by Push Gaming which lets you hit the dance floor. Show of your moves in this groovy slot game and win prizes by creating cluster of matching fruit symbols. By clustering at least five matching fruit symbols you will create a win. And after each win new symbol will drop into the 8×8 grid which gives you the opportunity to create new wins. Combinations with the strawberries, oranges and raspberry pay the biggest prizes. While playing the random Rainbow feature can add a random giant Fruit symbol into the slot after a non-winning spin. In addition to this Jammin’ Jars offers Wild jars which can multiply. Every time a Jar connects with a winning combination the multiplier will go up by x1. Combining multiple Jars with each other or the Rainbow feature can create mind-blowing wins. Especially during the Free Spins feature, which you unlock after hitting three or more Jars, this slot can go mental. A final prize of x2.000 or x3.000 your stake is not rare while playing Jammin’ Jars. To be fair, this slot can even pay more than 7500x your stake as the video below proves! Why did Jammin’ Jars become so popular? The main reason for the popularity of Jammin’ Jars is the fact that you will find hundreds of clips of extremely Big Wins on YouTube. On top of this many online casino streamers love to play and stream this game through YouTube or Twitch. The fact that this game can pay crazy, makes it more and more popular every day. And the more Big Wins appear on YouTube, the more people decide to try their luck on this crazy online video slot game! The most popular video slot by Big Time Gaming must be Bonanza. In this mine themed video slot you will need to mine for gold to unlock the very exciting free spins bonus. Every win during Bonanza will trigger a new reaction, which can create new wins or land you additional Scatter symbols. Bonanza has a huge potential because of the integrated MEGAWAYS, this means you can enjoy up to 117.649 ways-to-win. On top of this you can reach a very high multiplier during free spins, which adds even more excitement. How it works? Collect at least four scatters (G,O,L,D) to unlock 12 Free Spins. Additional scatters will increase the amount of spins. During the Free Spins Bonus each win will increase the multiplier level by x1. When you get a lot of wins this means you can easily increase the multiplier level up to x20. In this scenario even a fairly small prize can become a Big Win! Bonanza is set up with a 96,00% RTP which is pretty high. Why did Bonanza become so popular? Just like Jammin’ Jars the Bonanza slot is known for delivering amazing wins. It doesn’t happen a lot, but when it happens, it can be very interesting. During the free spins bonus a big win, with a high multiplier, can create crazy prizes. In some cases it is possible to win over 5.000 times your stake. This huge potential made a lot of people start playing it, and that’s why it is still a very popular video slot! In my opinion Reactoonz is one of the most entertaining and popular video slots created by Play’n Go. This video slot offers a grid of 7×7 symbols in which you will need to make clusters of matching symbols to win. While playing Reactoonz every win will trigger a new reaction since new symbols will drop into the grid. Implosion; Between 3 and 6 symbols will be turned into Wilds, while adjacent symbols will be destroyed. While playing Reactoonz you can create additional Wild by making clusters of the glowing symbols. In addition to this a non-winning spin can unlock the instability feature, which will add between 4 and 8 random Wilds to the grid. These Wild can be essential in order to fill and new Bar which will unleash another new feature. Reactoonz offers a 96,51% RTP and huge winnings from time to time (have a look on YouTube). Why did Reactoonz become so popular? 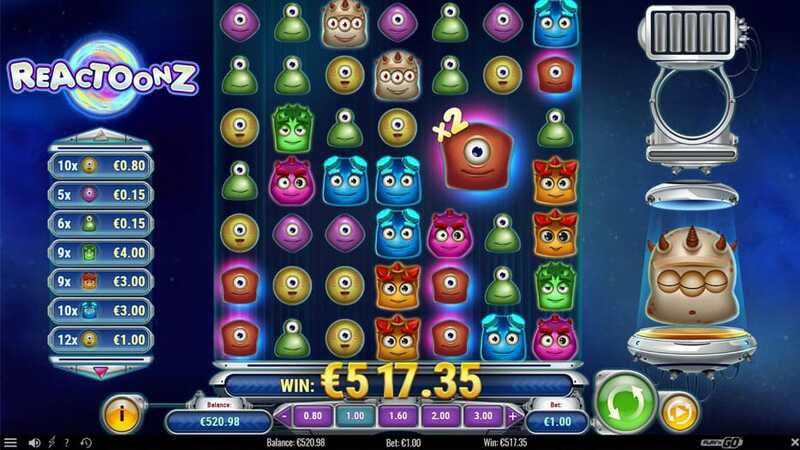 In my opinion Reactoonz is a very popular slot game since it can really grab your attention. Getting to the last bar and unlocking Gargantoon is a real challenge. And because of this the game is both frustrating and exciting at the same time. Every time you get close to hitting the feature, the excitement will build up. And when you finally get it, it is very exciting to see where the 3×3 Wild lands (let’s hope it is a good spot!). Many people saw in Extra Chilli the follow up for Big Time Gaming’s Bonanza. 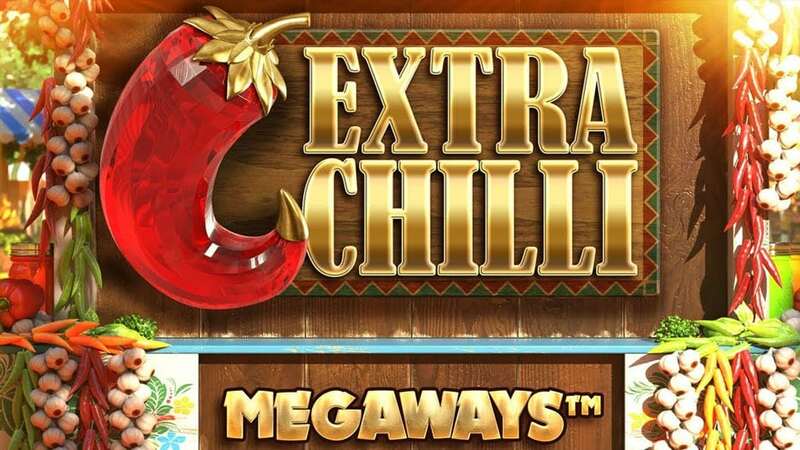 Extra Chilli also offers MEGAWAYS (up to 117.649) and an exciting bonus. Extra Chilli offers a scorching hot Chilli theme with spicy wins. While playing Extra Chilli you will need three Scatters (H,O,T) to unlock 8 Free Spins. Landing additional Scatters will earn you extra Free Spins. By getting enough Scatters, or by gambling your bonus, you can win up to 24 Free Spins. And you know what’s very interesting? Just like in Bonanza the bonus feature offers an unlimited win multiplier. Because of this the potential of Extra Chilli is very high! Besides getting the bonus at random Extra Chilli also offers to possibility to buy the bonus for 50 times your stake. And by landing purple BTG coin you can lower this prize simply by playing. This was a very experimental and new way to offer bonuses in slots. And because of its success more and more game providers are trying to integrate a bonus buy feature in their games. Why did Extra Chilli become so popular? Since many online slot players love to gamble it was very common for players to gamble their free spins bonus. This brought some people luck, but also a lot of people no luck at all. But the people that reached the maximum of 24 spins, sometimes got rewarded with a huge win up to for example x3.000 their stake. This excitement and huge potential made Extra Chilli a success just like Bonanza! One of the most popular video slots of 2018 was Rise of Olympus. This new mythological video slot by Play’n Go offers great animations, matching sounds and multiple exciting features. During the base game each spin will fill up a 5×5 grid with symbols. By lining up at least three of the same symbol in a row you will create a winning combination. All symbols in a winning combination will disappear. Because of this every win can trigger a new reaction. Getting three of the same symbols in a row will also leave a Wild symbol. Which increases the chance of extra winning. Hades; Change one set of symbols into a random other symbol..
Poseidon; Add one or two Wild symbols to the grid. Zeus; Destroys two set of symbols from the grid. When you create winning combination with the god symbols you will fill up the meter that triggers the Wrath of Olympus. The five gods in a row, or four in a row and three in a row or three times three in a row to unlock this feature. Once triggered, the slot will respin and all modifiers will be unleased after each other. The goal is to clear the complete slot, which triggers the free spins bonus. The free spins bonus offers you the chance to choose either Zeus, Poseidon or Hades. Depending on your choice you will receive a certain amount of spins, the matching modifier and a certain amount of additional free spins after a retrigger. During free spins big wins are easily created because of the high multiplier levels (up to x20). While playing Rise of Olympus you can win up to x5.000 your bet. The slot is set up with a high RTP of 96,50%. Why did Rise of Olympus become so popular? The Rise of Olympus slot has been awarded with prizes and has become one of the most popular video slots. But why? In my opinion many people like this slot because a lot happens, and it offers multiple exciting bonuses and features. On top of this the animations look stunning and the sounds match the game perfectly! To be fair, Dead or Alive is not NetEnt most fun game to play. In fact, we think the game is pretty boring. The game doesn’t look particularly good, the sounds are very basic and the amount of winlines make the chance of winning something decent fairly small. Only when you hit like a full line of premium paying symbols this video slot can be somewhat interesting. Although this is the case Dead or Alive is still one of the most popular NetEnt slots around. People keep spinning it and wait and wait. But why? Why did Dead or Alive become so popular? Although Dead or Alive has a high RTP of 96,80% it is fairly hard to get a good win on one of the 9 paylines. But still plenty of players love to play this game. The reasons for this is that the game can pay like crazy during the bonus feature. When you hit three or more Scatters, the symbol with the revolvers, you will enter the free spins bonus. 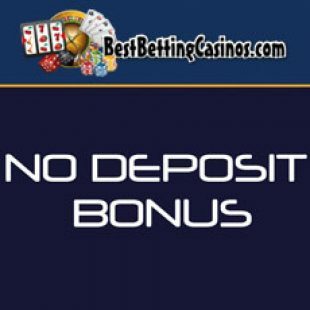 During the free spins bonus you will get a total of 12 Free Spins. While playing your free spins all prizes will be doubled and all Wilds will acts as Sticky Wilds. And this can become very interesting! In some cases you will see players hit a full payline of Wilds, which pays 3.000 coins every spin! When you hit this early on in the game this can very extremely good, especially when you unlock the 5 extra Free Spins. You can unlock these free spins by landing all five outlaws which are shown within the Wilds; Billy, Belle, Jesse, Della and Apache. When you for example unlock the full line of Wilds and extra free spins after 10 spins you will have a least 7 spins in which you win at least 3.000 coins. And that pays really good! Have a look at the video below to get an impression of the potential of one of the most popular video slots by NetEnt! 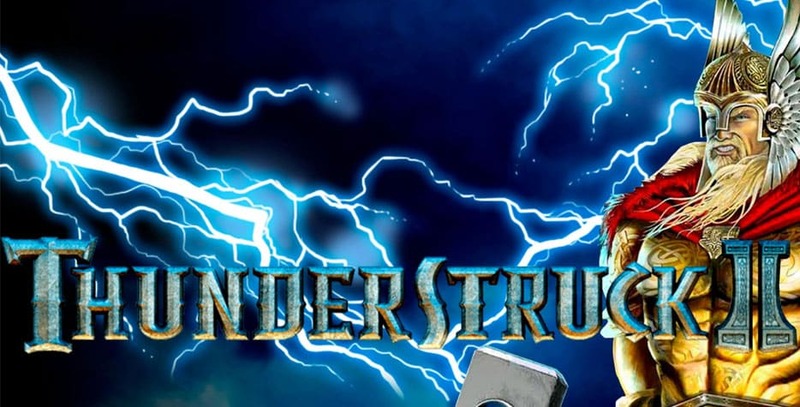 One of Microgaming’s most popular video slots is Thunderstruck II. This slot games has a strong Norse god theme which takes you to the city of Asgard. While playing this game you will enjoy a total of 243 paylines and multiple features. Looking at the graphics you can see Thunderstruck II is a dated game but never the less it is still very popular. The reasons for this is that Thunderstruck II offers various exciting features and bonuses which can pay really well. The Wildstorm feature is one of the random features you can trigger during the main game. During this feature one or multiple reels will be turned into Stacked Wilds. And this can be very interesting! Getting five completely wild reels will pay insanely good. In addition to the Wildstorm feature Thunderstruck II also offers the Great Hall of Spins. You can unlock this unique bonus feature by landing three or more scatters. The scatter symbol in Thunderstruck II is represented by Mjölnir, Thor it’s hammer. In the Great Hall of Spins you will be able to unlock multiple other features including Valkyrie, Loki, Thor and Odin. Depending on the bonus and extra features you will enjoy up to 25 Free Spins with extra Wilds and multipliers. Why did Thunderstruck II become so popular? The story of this slot is one of the most important things why people love this game. The Norse gods, the ancient details and the matching design. It simply attracts players that get sucked into this mythical story. In addition to this many players enjoy the fact that the free spins bonus offers progressive rewards. This means you will be able to pick your bonus and features when you unlock the Great Hall of Spins more often. All in all Thunderstruck II is loved for it’s game, the huge wins and the high 96,65% RTP. In our top 15 most popular video slots you will also find one game produced by ELK Studios; Wild Toro. This slot game has a theme which is all about the tradition of Matadors challenging bulls. While playing Wild Toro you will enjoy 178 ways to win and multiple features. One of the main features is the Walking Wild Feature. During this feature the Toro will walk from right to left and leave a track of Wilds. 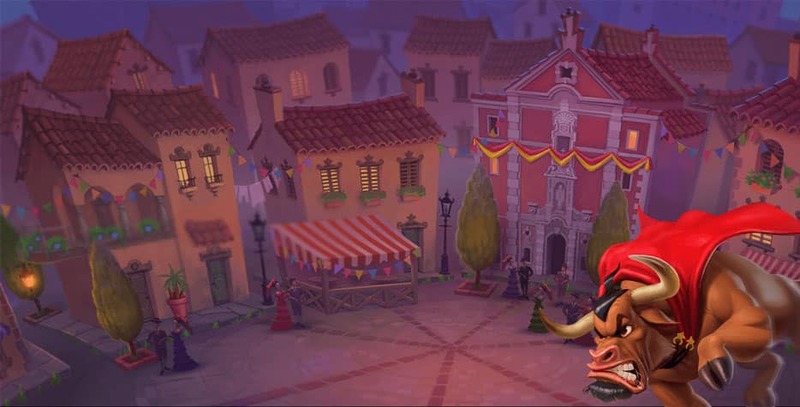 These Wilds will substitute for all symbols except the Toro and Matador. Because of this the chance of hitting a big win during this feature is way bigger. One other feature you can trigger while spinning is the Respin Trigger. This feature is triggered when you land a minimum of three Matadors on the reels. During the free spins bonus you will enjoy an unlimited amount of free spins. On top of this the bull will leave a trail of Wild symbols when a matador appears. In our opinion trying this game is the best way to see how the features and bonuses work. Good luck and have fun while playing Wild Toro! Why did Wild Toro become so popular? After the launch this video slot by ELK got pretty popular. Although this is the case it was a bit of a surprise when the game got awarded as ‘’Game of the Year 2017’’ during the EGR Operators Awards. The reasons why this game won that awards was the great design, innovative mathematics and overall quality. Since the slot won this prize it become even more popular and many gamblers love to spin it from time to time! In addition to the rewards of the Scatters you can get more spins and feature picks by activating the bonus bet. The bonus bet will cost 5 coins extra per spin. While spinning with the Golden Bet activated you will enjoy a high RTP. During the Free Spins thing can go crazy when you hit the right symbols and combination of features. Using the feature pick you can earn multipliers, symbol can turn into Wilds and random wilds can be activated. When getting a good spin, and some good features, you could easily fill up the screen with Wilds and premium symbols! Why did Golden Fish Tank become so popular? 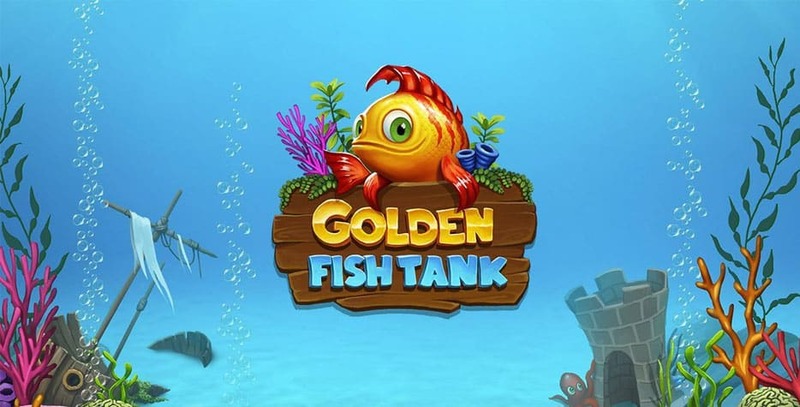 Although the Golden Fish Tank slot looks like a very easy going and friendly slot it is in fact very volatile. Because of this it is possible to win as good as nothing for a long period of time. But when you hit a good bonus, it can pay extremely well. Because of this many people enjoy to try their luck and have a few spins on the Yggdrasil slot! One of Big Time Gaming’s most popular music themed slots is Danger! High Voltage. This cool disco slot is really electric and based on the song Danger! High Voltage by Elektric Six. This alternative disco song was recorded back in 2003 but it is still fairly popular since it is a bit crazy and features in this amazing slot game. While playing this up-tempo slot game you will be able to win prize on a total of 6 reels and 4 rows. This means there is a total of 4096 ways to win while spinning! While playing this slot you will enjoy wilds, multiplied stacked wilds (x6) and possibly epic wins. Although the main game can pay really good while hitting multiple multiplying wilds it’s mostly about the epic bonus game. After landing three or more scatters during the main game you will unlock the bonus game. When this happens you will be able to choose one out of two epic bonus features. The first bonus you can choose is called ‘’Gates of Hell’’ Free Spins. 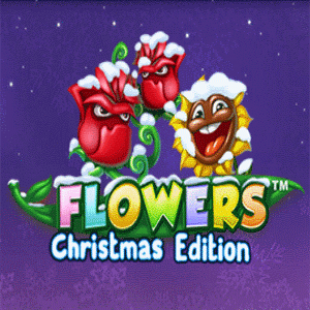 During this feature you will receive a total 7 Free Spins. During these spins one selected symbol will be transformed into a sticky wild on reels 2 to 5 every spin. And when you get a total of four wilds on one reel, 3 additional Free Spins will be awarded. After landing wilds on all four reels this bonus feature can become very interesting. In this article you can see how I managed to win x1500 my stake during this epic bonus. The second bonus which you can choose is called ‘’High Voltage Free Spins’’. When you pick this bonus you will be awarded with 15 Free Spins which can be retriggered by landing three more scatters. During each spin you can hit a multiplying stacked wild with a multiplier between x11 and x66. When landing a good combination including a x66 multiplier this can of course be explosive! Why did Danger! High Voltage become so popular? Just like some of the other games in the list of most popular video slots Danger! High Voltage is an iconic slot since it is so volatile. If you like to take some risk, this slot is a perfect choice. The odds of not winning a lot or loosing are big, but sometimes this slot can produce staggering wins. My 1.500x win was pretty nice, but there are plenty movies around of wins of over x5.000. This makes Danger! High Voltage a very exciting game to play! Blueprint Gaming is one of the game providers that noticed that Big Time Gaming’s MEGAWAYS are getting more and more popular. Because of this both game providers started working together and now Blueprint Gaming has launched various new slots with the MEGAWAYS integrated. One of these video slots, Buffalo Rising, has become very popular in the recent months. Buffalo Rising MEGAWAYS has a cool looking desert theme with a total of 6 reels and up to 117.649 ways to win. And it offers various amazing features including a bonus with a unlimited multiplier (just like Bonanza). While playing Buffalo Rising you will enjoy cascading symbols after every spins. This means every win can trigger a new reaction. New symbols will appear in both the 6 reels and in the extra smaller reel on top of the slot. One other feature which you can expect is the mystery symbol feature. During each spin multiple desert symbols can appear randomly which will be transformed into one random symbol after the spin has finished. When connecting, this feature can get you good prizes. Especially when you get this feature during the Free Spins with a multiplier it can pay extremely well. In order to unlock the free spins feature you will need to get at least four scatters (pink diamonds) in the slot. Once done, you can pick between 5 and 15 Free Spins with a starting multiplier between x1 and x10. If you like you can also choose to gamble with the mystery choice feature (random choice). When you get additional scatters while triggering the bonus you will get additional free spins. During your free spins each win will increase the multiplier level with x1. On top of this you can retrigger spins by landing at least three scatters in the top reel. Why did Buffalo Rising MEGAWAYS become so popular? The free spins bonus of Buffalo Rising MEGAWAYS can become very epic. When you get a lot of prizes you will be able to raise your multiplier level to x20 easily. And when you get a decent win at such an multiplier level, the payout can be very serious. Because of this the bonus has a high potential and therefor it is very exciting. This makes this game very popular and loved under many online punters! Wild MEGAWAYS; One spin will be awarded with additional wilds and the maximum amount of ways to win. Genie Wilds; Extra wilds will be shot on the reels and full wild reels can appear giving you a x5 multiplier. Genie Win Spin; The genie will create mystery symbols or wilds on the reels which guarantee a win! Bonus MEGAWAYS: You will enjoy a spin with additional bonus symbols on maximum MEGAWAYS (all the 15.625 paylines). In addition to this random feature you can also trigger the free spins bonus by getting three or more scatters. The minimum amount is 10 Free Spins, getting more scatters means more spins (up to 20). You will also be able to buy this bonus, this will cost you x100 your bet. During your free spins you will enjoy one out of four magic features. You can win genie streak, locking wilds, unlimited multiplier spins and mystery wishes by picking one of the lamps in the cave. Each feature give you a unique feature to increase your chances of winning big! Why did Genie Jackpots MEGAWAYS become so popular? The amazing amount of 15.625 winlines gives Genie Jackpots MEGAWAYS a crazy potential. And this really attract players. Both regular players and slot streamer enjoy to try their luck on this game since it can pay really good. Although this is the case I must say I have also seen plenty of disappointing bonuses on this game (x20 wins). Because of this it required a big amount of luck to hit a x2.000 or x 3.000 win! Although Pimped is not Play’n Go its newest slot, it is still a very popular game. In this hip-hop industry themed slot game you will enjoy winnings on a total of 5 reels and 10 winlines. By spinning you can hit good wins by lining up luxurious items including rings, stacks of dollars and attractive ladies. Especially the stacked brass knuckle wilds can put serious cash on the table during the main game. Once this happens, you will see the money rain in the slot. 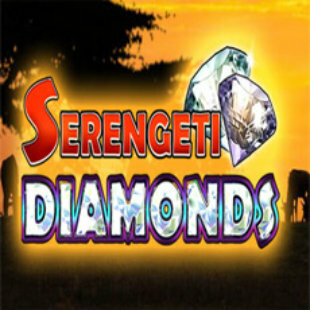 In order to unlock the free spins feature during the popular video slot you will need to land at least three scatters. The scatter symbol is represented by a big blue dollar sign. Once done, you will be awarded with 5 win spins. During these spins you will enjoy a guaranteed win during each spin. And when you land another Scatter, you will be awarded with two additional spins. Because of this the free spins bonus has a good potential. Pimped by Play’n Go is set up with a high 96,51% RTP. Why did Pimped become so popular? Pimped is a good looking online video slot with an enjoyable theme and sounds. In addition to this the slot doesn’t feature complicated bonuses or feature, it is easy and straightforward. In my opinion the combination between simple and good make that this slot is very popular under online gamblers. High RTP; The biggest part of all popular slot games have a high return-to-player percentage. Most RTP’s are above 96,00%, and a least above 95,00%. High potential; A big chunk of the top slots offer extremely good paying bonuses or features with top prizes exceeding a few thousand times a players stake (up to x 10.000). Exciting features; Many popular video slots offer exciting features and bonuses. Random symbols and high (unlimited) multipliers are very popular. This explains why for example Jammin’ Jars and Buffalo Rising MEGAWAYS are so popular. Uniqueness; Creating a unique setting or special way to play seems to work as well. Slots which feature a grid like Reactoonz and Rise of Olympus are very attractive since the excitement build up and a lot happens. Simply; In general it is also important that a game is fairly straightforward and not too hard to understand. Games like Starburst, Dead or Alive and Pimped are easy to understand and therefor popular under beginning gamblers. What is your favourite online casino slot? And why? Please let us know in a comment on this article! If you are new to online gambling then everything might still be a bit unclear to you. Because of this I will explain you the basics about how to get started. Using this information you should be able to get ready for playing your first online slot in an online casino. First of all you should sign up an account at one of the many online casinos that are available. 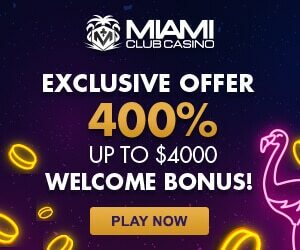 Which casino you choose is up to you but you could have a look at for example reviews, reliability, licenses, promotions and the collection of slot games. You can also have a look at our online casino top 10 to make sure you pick a safe and secure online casino. Signing up an account is very easy and only required some personal details and a few minutes of your time. In this article you can learn more about how to sign up a free casino account. Now you have set up your account at an online casino you will need to make a first deposit. At most online casinos you will find a wide range of secure payment options including Mastercard, VISA, Bank Transfer, Neteller, Skrill and more. Finish your payment to upload funds into your account. Once done you can open one of the slot games in the casino. 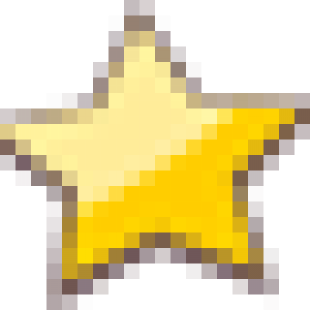 If you like a recommendations then I would suggest playing Starburst since this is an easy to learn game which should be perfect for beginners. After opening the slot game you can choose your stake, Starburst offers a lot of betting options from as low as €0,10 per spin up to €100,- per spin. When you have set a proper betting option then you can start spinning and try out your luck. Below I will highlight some important words and concepts which you need to know about when playing online slots! While playing some of the slots that appear in our top 15 most popular video slots you will encounter many words and concepts which might be new to you. To help you find out what means what, I have set up a small online slot vocabulary. Use this if you come across a word which you don’t understand. Each video slot offers a certain amount of betlines or paylines. These are lines on which you can match symbols to win prizes. Typical online slots offer 5, 20 or 243 paylines. In the game information of the slot you can find which paylines are active while playing. If you want to know how much you can win, you should visit the paytable. The paytable show how much each symbol is worth, and that the maximum prize is. In addition to this most paytables also show which features and bonuses you can unlock. The RTP, or return to player, indicated how much of the stake will be returned by a game on average. For example; When the RTP of a game is 95%, €95,- or each €100,- wagered will be returned to the player. Since this RTP is an average this tells you nothing for your session. On this page you will be able to learn more about the RTP’s of casino games. The volatility of a game tells you something about how the game returns the bets wagered. A game with a low volatility level will give a lot of prizes, but most of them are low. When you play these game you can most of the time play for a long time without winning or losing a lot. When a game is highly volatile it means it will not pay that often, but when it does, the prizes are bigger. When a game is medium volatile you will be able to win either small prizes and bigger prizes from time to time. Most game providers will nowadays describe how volatile a game is while launching it. The biggest part of online slots feature Scatters. The Scatter symbol is an important symbol which lets you unlock the free spins bonus. Most online video slots require you to get three Scatters in one spin to unlock this bonus. In the paytable you will find out which symbol acts as the scatter in a slot. Many of the most popular online video slots offer random features. These are features which can be triggered at random during each spin. Most random features will give you the opportunity to win bigger prizes or unlock the main free spins feature. The main bonus feature of most online video slots is a free spins bonus. During this type of feature you will typically be awarded with a certain amount of free spins which are random or fixed. During these free spins you will most of the times enjoy other random features which can increase your chance of hitting a big win. 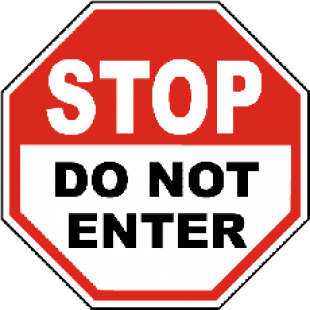 There are multiple videos slots around that don’t pay according to paylines. A few of these example are Aloha! Cluster Pays (NetEnt) and Reactoonz (Play’n Go). While playing these slots you can win prizes by making clusters of the same symbols. Most of the times you will need five of a kind to trigger a prize. 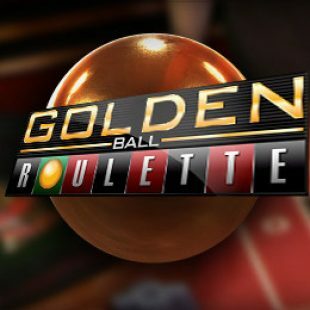 Golden Ball Roulette by Extreme Live Gaming - How to play?